Check out the great work that our students do at Georgia Virtual School! ¡Bienvenido al escenario Antonio, eres nuestro estudiante estrella! Estamos muy orgullosos de tí, reconocemos tus esfuerzos y la buena actitud que pones en tus estudios diariamente. Felicitaciones de todo el aquipo de la escuela de Georgia Virtual! Welcome to the stage Antonio, you are our star student! We are very proud of you and we recognize your hard work and great attitude that you put in your school work every day! Congratulations from our team at GAVS! Our GAVS teacher, Profesora Ingrid Suarez, raves about her Spanish I student, Antonio. She says Antonio is a very polite student with a true love of learning the Spanish language along with a sincere commitment to excellence. He always turns in assignments on time and proofreads extensively to ensure that his work is accurate and complete. In order to improve his Spanish speaking skills, he watches television shows in Spanish and listens to Spanish music on his own time. In the two semesters Antonio has taken Spanish with Profesora Suarez, he has never missed a single weekly synchronous chat session! Antonio also participated in the GAVS World Language Speaking Event in Fall 2014 and did a fantastic job! Being a leader often means being an innovator and creating solutions to fit that need where one did not previously exist. For Katrina Winnett, that has certainly proven to be true. 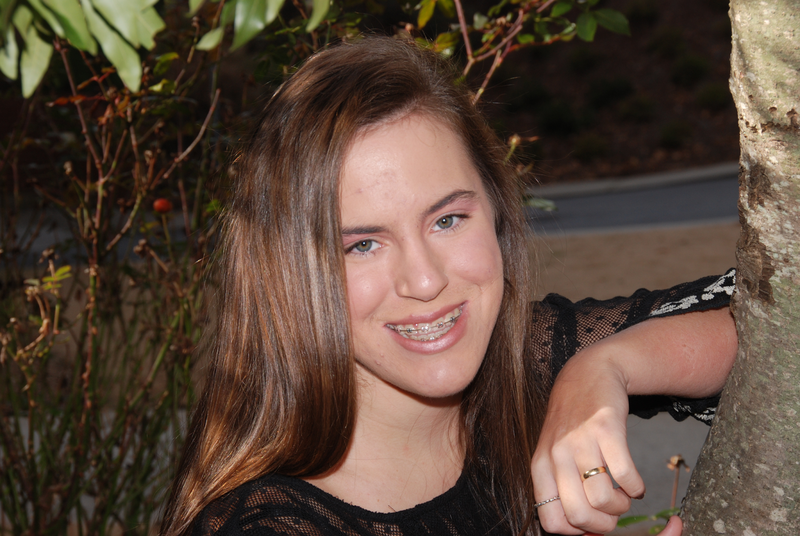 As a homeschool student who takes courses with Georgia Virtual School, Katrina worked with teachers and advisors to launch the first virtual chapter of Future Business Leaders of America, while also serving as Vice President. She saw the students’ needs to be involved beyond regular courses and a great opportunity to participate in an important learning experience. Her persistence and participation paid off and in 2013, Katrina competed and placed in the National FBLA competition in Anaheim and after again placing in the State FBLA competition this spring, she will travel again to the National FBLA competition in Nashville in June. Katrina is excited to have been accepted into her “dream school,” Pepperdine University, in Malibu, California starting Fall 2014 as an Intercultural Communication and Nonprofit Management major. Not everyone gets a hug from Steve Harvey, but when you do, it tends to stick in your memory. That’s certainly the case for Cole Simmons, he and his family appeared on the game show Family Feud this year, winning three episodes. Goofing around with host Harvey was just extra fun. For Dawson County High School senior and GAVS student Cole Simmons, a good sense of humor and a dose of fun is essential when your schedule is as hectic as his is. As a scholar athlete who is also actively involved in DECA, student government, BETA club, National Honor Society and more, Cole is often on the move. 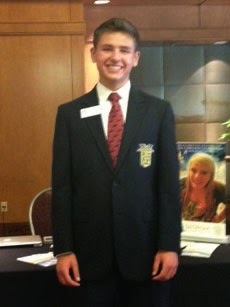 In fact, in his role as Georgia State and National President of Future Business Leaders of America, he travels 40 days out of the school year, recruiting members, speaking to school chapters and attending competitions. Taking courses with Georgia Virtual School has allowed Cole to pursue all these activities with a flexible school schedule, while the six Advanced Placement courses he completed gives him a jump start on his college coursework. “GAVS has been amazing because it has allowed me to take classes that my school doesn’t offer. In fact, taking Beginning Programming and AP Computer Science solidified my career choice,” he said. Cole has been accepted as a freshman at Stanford University for the Fall of 2014 as a Computer Science major. Lauren Walier is proof positive that presumptions are meant to be shattered. From her home, she takes a full-time high school course load and launched and now runs a non-profit organization. Oh, and she happens to have Cerebral Palsy. Lauren began taking courses through GAVS when she required intense physical therapy so that she wouldn’t be contained to a wheelchair her whole life. After discovering how much she enjoyed her instructors, courses and the flexibility virtual learning afforded her, she is planning to continue with GaVS even after her intense therapy is no longer necessary. “My GAVS teachers are supportive and caring, and they want me to be successful. Knowing that accommodations for my special needs status will be implemented is assuring and gives me more confidence about school,” she said. Lauren is now able to focus on something else close to her heart, the running of the non-profit organization she created. Make Lemon Aide For Cerebral Palsy raises money to fund the intensive therapy for others that Lauren herself underwent, as well as for research, since there is no federal funding to support CP research. Megan is a busy teenager. She is a student and accomplished gymnast who trains from 9-4 Monday through Saturday and travels out of town for competitions and the Olympic Training Center. She is a hard worker on and off the gym mat, taking 30 hours a week of high school courses, including biology, one of her favorite subjects. As a dedicated and talented athlete, Megan needed to find an online school program that would offer challenging NCAA approved academics in a flexible setting. She found a good fit for her lifestyle in courses with Georgia Virtual School. “GaVS allows me to pursue my gymnastics dreams, and still get a quality education. I am able to log-in at a time that fits my schedule, and from wherever in the world I might happen to to be,” she said. Because she is a rigorous trainer, both in competition and academics, Megan has been highly sought after by many college gymnastics programs and has verbally committed to compete for the University of Florida in 2017.